We spent the day tidying up loose ends around the boat, going over procedures with the Riggers including deployment of the whisker pole and reefing. 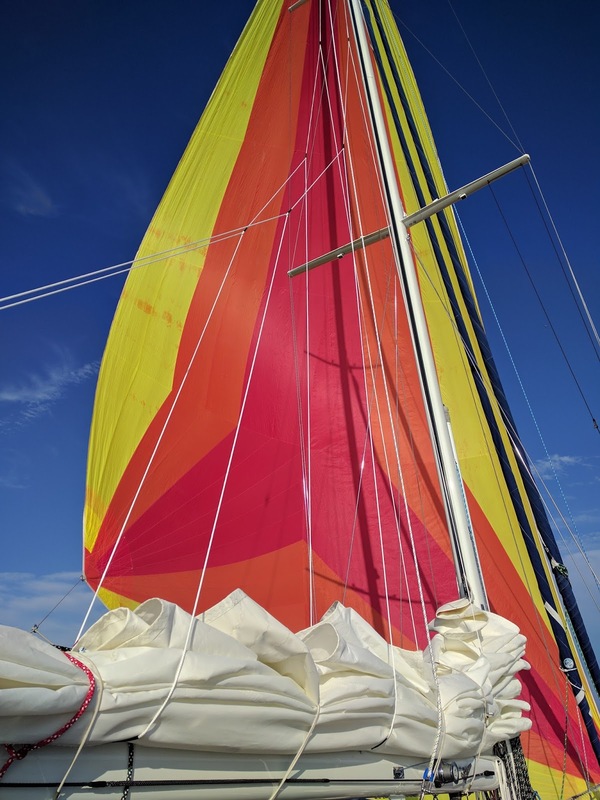 They also installed a top down furler intended for the spinnaker that Don is referring to as the marriage wrecker but it is doubtful that we will be using it on the way to Maine. We went out into the bay to try it out and it worked reasonably well. The idea is that you can launch it from the cockpit unlike the sock where you have to go up on the foredeck. The plan this morning, is to motor sail up to the c and d canal and overnight there. The next day go through the canal, down the Delaware bay and then make a bee line for Nantucket. After that sail around Cape Cod and onwards to Penobscot Bay. Weather looks good for the voyage. In the meantime here is a video of the Sailboats here in the marina.